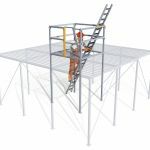 This is difficult to achieve in construction as the building is always increasing in height and any platform needs to be temporary, quick to install and remove, and yet robust enough to carry men tools and materials. The platform must also be stable solid and secure in order to instil confidence in the user and to enable them to carry out their work quickly and efficiently. Other issues are that it must be entirely self-supporting as bracing against freshly built walls may damage the walls themselves and waiting for the mortar to set is of course a loss of time. Add to this that it must survive a building site environment and so needs to be strong and durable and resistant to weather extremes. 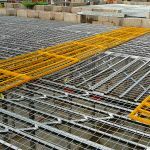 All this presents a real challenge and so it is not surprise that the principal solution is conventional scaffolding – but this is slow to install and remove and difficult to configure for small domestic buildings. 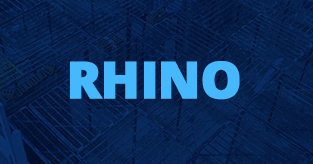 Rhino Deck is an all-steel lightweight decking solution that is very quick to install (50m2/hour with a team of two men) and critically is self-bracing stable and secure. 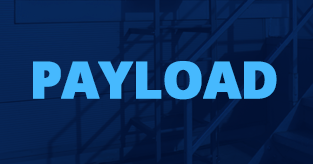 It will accept loads of 600kgs/M2 which means that it can be used for access, loading and also as a work platform. As the ground floor build rises above comfortable working height a Rhino platform is installed (typically at 1.8 metres) and work continues installing the joists and raising the walls to first floor level. The platform is then re-installed on the first floor to complete the build and to install the roof trusses. Rhino Deck also demonstrates versatility outside house construction wherever a temporary access, load and work platform is required. 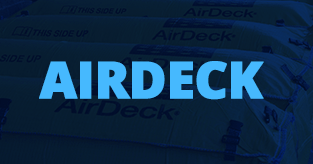 In those cases where the use of RhinoDeck is limited, either for reasons of logistics or frequency of use, a good alternative is AirDeck. AirDeck is an air cushion rapidly inflated on site. Once inflated (an operation that takes only 30-40 seconds/bag) the bag measures 750mm x 750mm x 2100mm and covers an area of 1.8 M2. They can be linked together with quick, click-link buckles to cover whatever area is required. 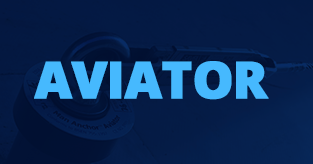 They are tested to and far exceed the requirements of PAS 59:2014 and are a good fall protection safety solution, as AirDeck is a collective and passive system. Once installed the worker need take no individual action to be protected. AirDeck is increasingly finding applications outside construction as, due to the fact that it can be rapidly inflated and deflated and is therefore easily transported and stored, it offers a good solution for mobile fall protection and is used by removal companies, companies installing prefabricated and temporary structures, companies involved in maintenance and also on board ships – anywhere mobile and quickly deployed fall protection might be required.